We are inching closer to Opening Day 2019 and, don’t look now but, current forecasts make it seem plausible that the Twins will be hosting the defending American League (AL) Central Division Champions Cleveland Indians on March 28 at 3:10 pm. The Thursday, Saturday, Sunday series will be the only three games of the homestand before they start their first road trip traveling to Kansas City, the new look Phillies, and the Mets of New York. 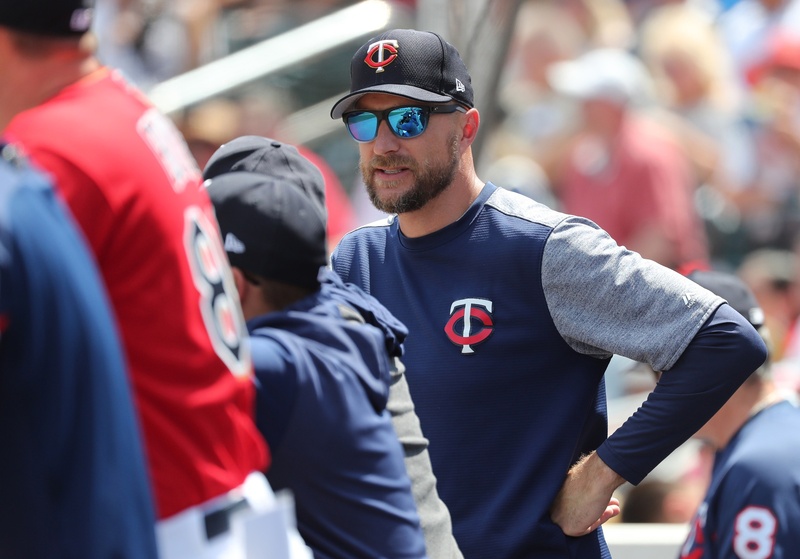 Outside of three games versus the Phillies and five games versus the Houston Astros, the Twins have the opportunity to take advantage of an easy schedule in the first full month of the season. This includes a seven-game homestand versus the Tigers and Blue Jays in mid-April and six total games versus the Baltimore Orioles. Things get a little tougher in May as their first five games are versus Houston at home (2) and New York Yankees at Yankees Stadium (3). They will face a solid, but not great Angels (6) and Rays (2) team eight times throughout the month and will host the Brewers for two games toward the end of the month. The Blue Jays, Tigers, Mariners, and White Sox are also on the docket and will all be series the Twins really need to win. The third month of the year could be a pivotal month for the Twins as 16 of their 27 games come against division foes, and only three of those games are versus the Indians in Cleveland. That said, five games against the Rays and three games against the Red Sox at Target Field will be a challenge and, specifically with the Rays, could have Wild Card tiebreaker implications down the road. July will be another important month for the Twins as 13 of their games will be against teams who will likely be in the thick of the developing playoff race. Ten of those aforementioned games will be immediately following the All-Star break in Cleveland for three games and hosting the A’s and Yankees for seven games. If they struggle during that stretch, they then have the opportunity of playing the White Sox and Marlins to end the month. The “dog days of summer” will be something the Twins look forward to this season...kind of (see below). They have a tough 10 game homestand where they will face the Braves (3) and Indians (4) followed by two games in Milwaukee. Outside of those nine games, the other 19 will be against teams who are currently projected for 74 wins or less according to Vegas. Uf-dah (why does my Grammarly recognize this as a word?). In the season's final month, the Twins will have twelve consecutive games against teams who will likely be battling for a playoff spot, including six critical games against the Indians. The other six will be at Fenway and versus the Nationals at home. Unfortunately, these games occur earlier in the month which makes it less likely these teams have clinched anything at that point. This is by far the toughest stretch of the season and it comes during the most important time of the season. I should mention that they end the season with 13 games versus the bottom three teams in the division. -The longest homestand of the season is ten games versus Aug. 2 through Aug. 11 versus the Royals, Braves, and Indians. -The longest road trip of the season is 10 games and 12 days, including a day of travel, starting May 29 and going through June 9 versus the Rays, Indians, and Tigers. -There must be some labor law I’m unaware of that teams will have at least one off day in a two-week period as the Twins play on 13 consecutive games at a few different points throughout the season. -That said, the Twins do have three different stretches of 26 games in 27 days including two such stretches that occur at the beginning and very end of August. -The most difficult stretch of the season was mentioned above, but what should be the easiest stretch of the seasons occurs in the 17 games leading up to the trip to Fenway. Those 17 games will be against the Rangers, White Sox, and Tigers. Breaking down a schedule is an interesting exercise. Not that you’re ever going to feel bad for someone making millions of dollars, but you can definitely appreciate how grueling the Major League Baseball season is. What are you looking forward to this upcoming Twins season? Any games or series you have your eye on right away? Let me know if the comments! The rule for consecutive days played is a 20 day maximum. The key is the Twins' combined record versus KC, Det and CWS.That's 57 games and the Twins need to win 2/3rds of them or 38-19. Fair statement.I don't see a wild card coming out of the Central.IMO it will take 89-92 wins to win the division.